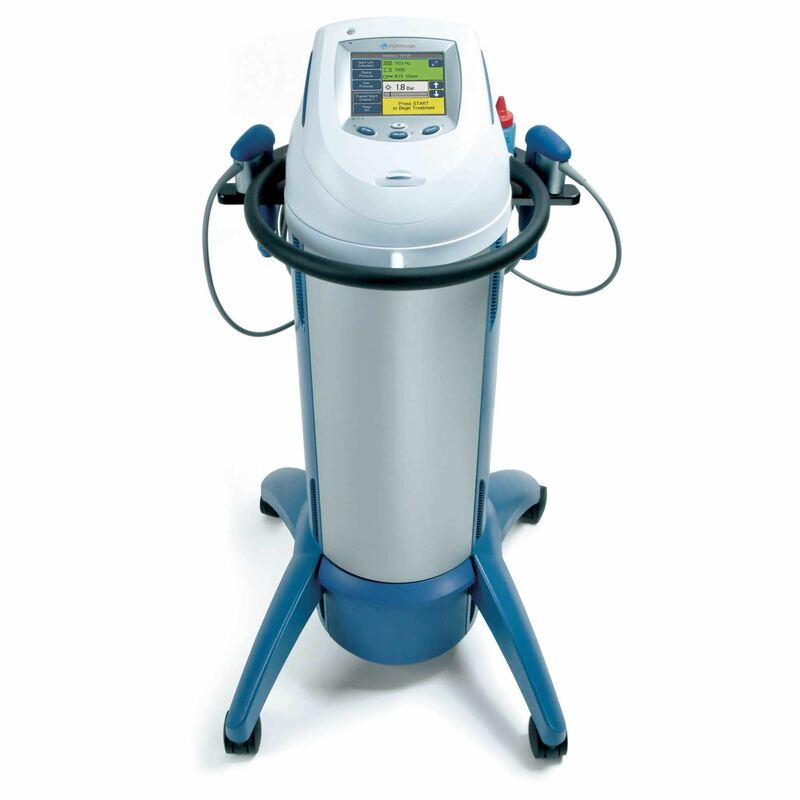 Utilising Radial Pressure Wave therapy, the Intelect RPW Shockwave offers a non invasive treatment solution for chronic, long term insertion and soft tissue pathologies. Use with D-ACTOR Applicator and transmitters to generate shockwave and vibrations for penetration depths up to 60mm. 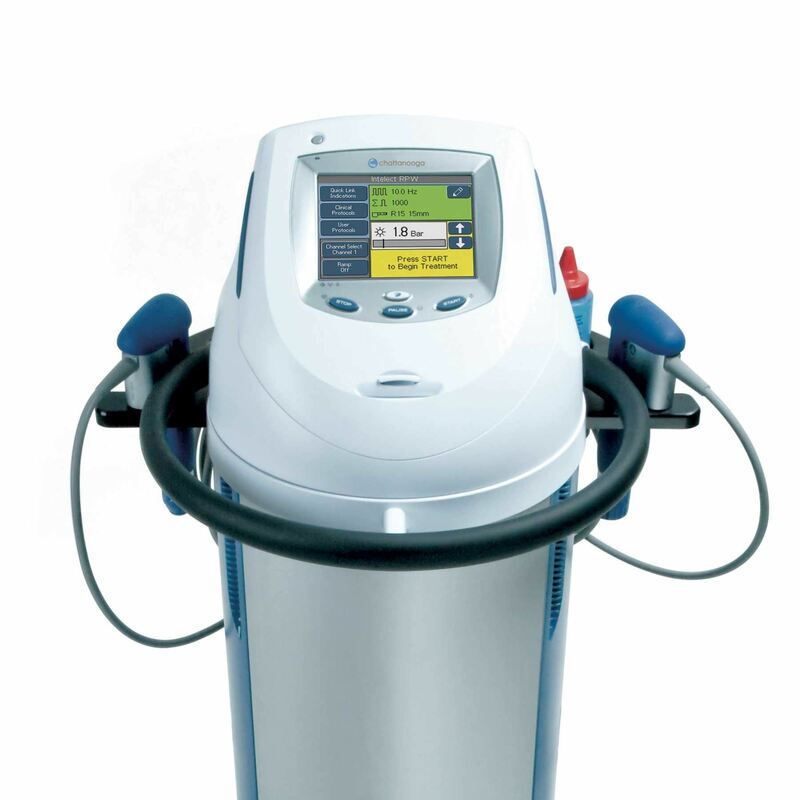 The Chattanooga Intelect RPW Unit features a full colour LCD touch-screen with a 360° swivel rotation of interface. Choose from over 80 Clinical Protocols or store your own preferred parameters. Clinical Resource Library includes: anatomical images and pathologies; hand piece placement images; Radial pressure wave rationale and contraindications. Two channels allow connection of two hand pieces. 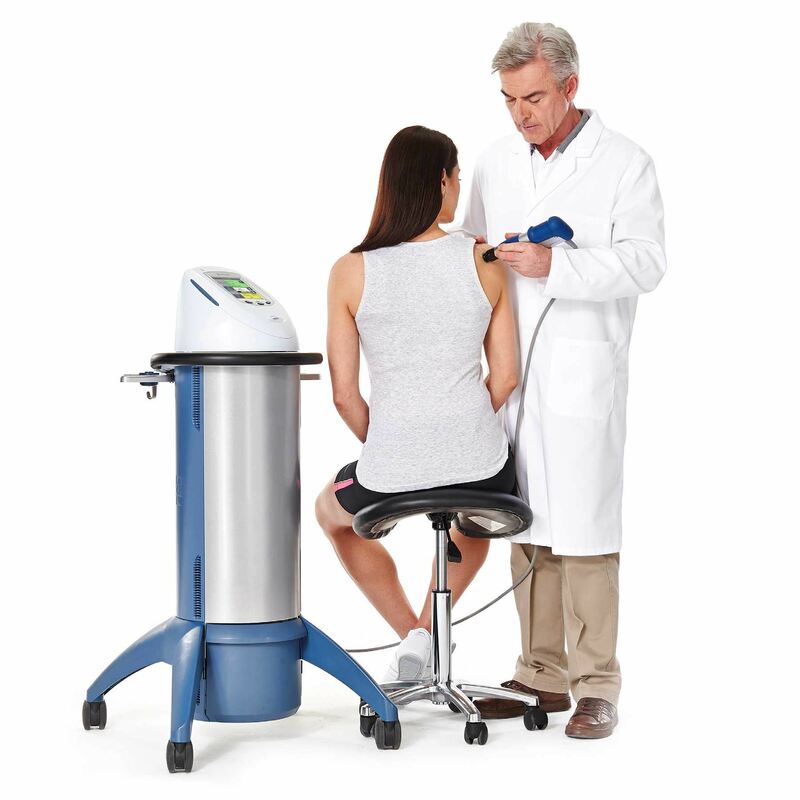 Unique optimal energy level adjustment feature that allows gradual ramping of the intensity during treatment. Convenient storage platform allows secure and easy access of accessories including compressor. Download Intelect RPW Shockwave brochure. Please contact OPC Health for further information or a quotation. This item is not available for online purchase.